The consortium which built the Queensferry Crossing has been fined £10,000 over a botched heavy lifting operation which resulted in a worker being seriously injured. A crane mat came crashing down on to the foot of 49-year-old slinger Desmond Flett resulting in him having five toes amputated. His operator’s ticket had expired and there was also no lifting plan drawn up for the task among other health and safety failures. The chains attached could not hold the load during the lifting manoeuvre resulting in the life-changing injuries to Mr Flett, who has been unable to find work since. 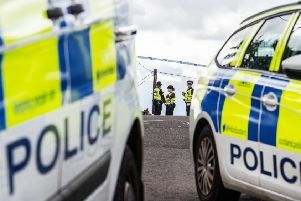 The accident took place on Saturday 11th April 2015 at a storage facility and has now resulted in proceedings at Dunfermline Sheriff Court against Forth Crossing Bridge Constructors (FCBC). FCBC admitted that it failed to ensure that an operation involving lifting equipment, to lift and move a steel crane mat was properly planned by a competent person, appropriately supervised and carried out in a safe manner by allowing the operation to proceed with unsuitable lifting equipment and as a consequence the crane mat fell striking Desmond Flett to his severe injury, permanent disfigurement and permanent impairment. Depute fiscal Gavin Callaghan said that when the load came down on Mr Flett’s foot, his steel toe cap was “squashed flat”. He was rushed to the Victoria Hospital then to Ninewells in Dundee. A telescopic handler by a colleague had been used in the botched operation. Sheriff Keith O’Mahoney said, “This is an event which has clearly had a significant, serious and long-lasting effect on the complainer Desmond Flett. He said this was a “multi-faceted failure”. The operator’s ticket had lapsed, no plan was drawn up and the chains were too short for their purpose, he added. The maximum fine which could have been imposed was £20,000. Sheriff O’Mahoney decided the appropriate fine for this offence should be £10,000.